Around $30,000 was raised to construct a splash pad in Alamo. Thanks to everyone for your support. We are preparing now to begin construction. The original plan was to construct the splash pad at the Alamo Children’s Park. However, due to the park being funded through Southern Nevada Public Land Management Act (SNPLMA), there are additional obstacles. The Alamo Town Board suggested a new location just north of the Ambulance Barn. This site is surrounded by a grass area, pavilion, and restrooms, with none of the obstacles we were hitting at the park. 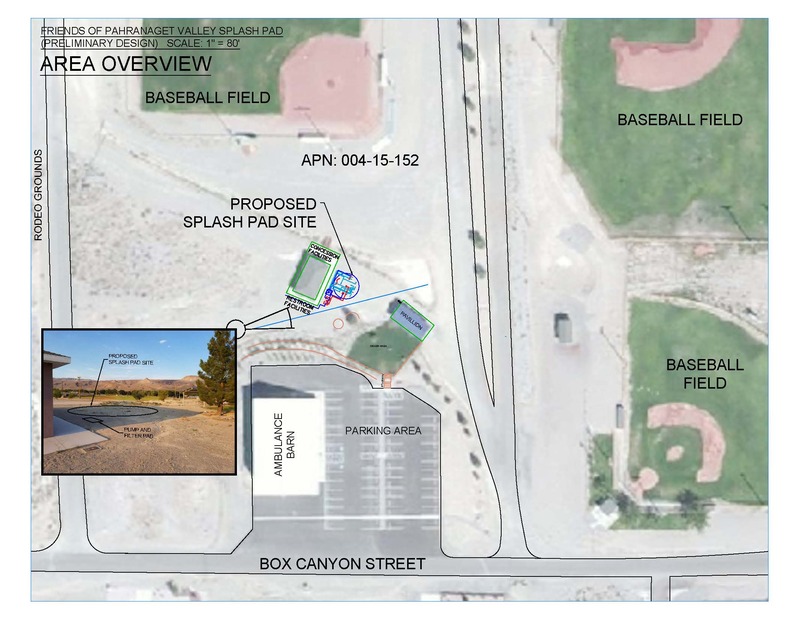 The Friends of Pahranagat Valley committee determined that this would be a great site and intends to move forward with building the splash pad at this location. We hope to break ground on the project in the coming weeks. If you have any questions, please don’t hesitate to contact us, and we again thank you for your continued support. Special thanks to committee member Jared Judd for creating the site plans.